I’m back at CeBIT. I was last here in 2010 – and it’s really exciting to be back! CeBIT is the largest international ICT trade fair in the world. It happens in Hanover, Germany, in March every year. Over the past few years the SA ICT Sector has been fortunate enough to have a South African National Pavilion at CeBIT – sponsored by the Department of Trade and Industry (the dti). I’m at CeBIT representing the SA Electrotechnical Export Council (SAEEC). I will be providing “industry expert” support to the dti staff and the 14 South African companies represented on the Pavilion. Day 1 of the show has just started. Our Pavilion in Hall 6 is next to the Polish Pavilion. 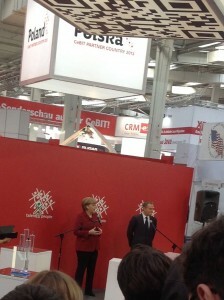 Poland is the “Partner Country” at CeBIT in 2013, and a few minutes ago the German Chancellor, Angela Merkel, and the Polish Prime Minister opened the Polish Pavilion. 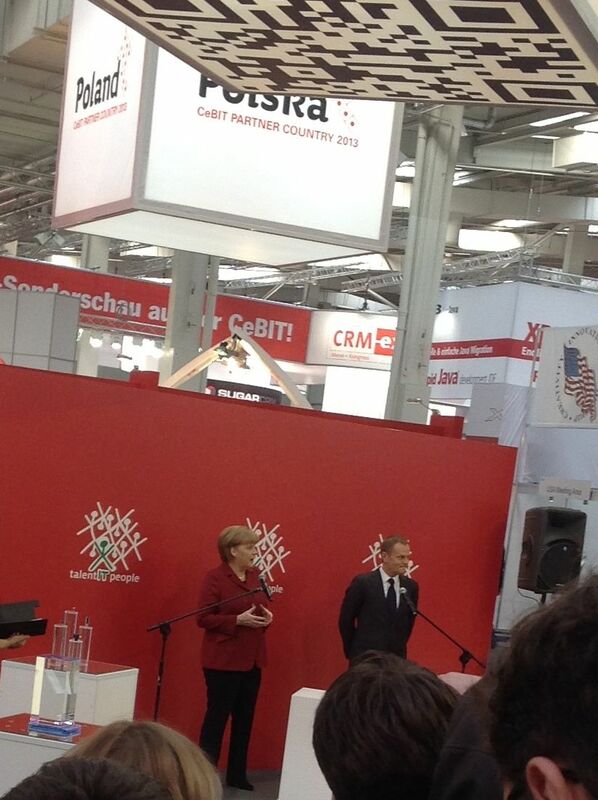 Having two heads of state coming to CeBIT is evidence that this trade fair carries significant clout. The size and scale of CeBIT is something that needs to be seen to be appreciated. The venue in Hanover – called “Messe” – is one of Europe’s largest show grounds. There are something like 26 Halls each covering 1000’s of square meters. More that half the Halls at Messe are used for CeBIT. The South Africa Pavilion is beautiful this year. Its bright yellow and open and covers 300 square meters. But …. Is it worthwhile? Does it make sense to have a National Pavilion? Does it add value for the SA companies represented here? Does it bring benefits to the SA ICT sector? If you aren’t here this year, should you try to be here next year? Over the next few days I will use my blog to try to capture some of my impressions of CeBIT 2013. I will also try to answer the questions I’ve just asked.